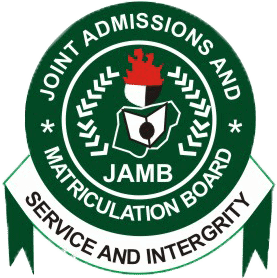 The Joint Admission and Matriculation Board (JAMB) is an examination every candidates seeking for admission into higher tertiary institution in Nigeria must take. This page is dedicated to all latest JAMB News Updates. The JAMB 2019 Registration Form is no longer on sale. The closing date was extended to 15th March, 2019 and a lot of prospective candidates took advantage of it. The Joint Admission and Matriculation Board, JAMB Fixes Thursday, 11th April for 2019’s UTME Examination and all candidates are expected to print out their slip to know their approved centre, time and date. The JAMB Mock Examination Date for 2019 UTME has been postponed to Monday, 1st April, 2019. All the candidates who indicated interest in partaking in the examination are hereby advised to print out their exam slip to know their exam date, venue and time. All the candidates who applied for 2019’s UTME are expected to reprinting their Official Examination Slips as from Tuesday, 2nd April, 2019 to see their Exam details such as approved Venues/centres and Time Schedule for their CBT Exam. The re-printing of JAMB examination slip has been moved to Thursday, 4th April. Also, candidates who are qualified to write the JAMB Mock Exam on the new date of 1st April, 2019 do not need to reprint their exam slips, as all the details on the slips remain the same except the mock examination date which is now April 1st. Soon, the results of candidates who participated in the Unified Tertiary Matriculation Examination (UTME) will be released online and candidates will be able to check their JAMB score with only registration numbers. Nigeriaschool team will be here to help you check yours for free. JAMB’s spokesperson, Fabian Benjamin, said All candidates who registered for the 2019 UTME are to ensure that they print their examination notification slips before the day of the exam as no excuses would be entertained. According to Fabian, the JAMB Board will not reschedule UTME examination for any candidate who missed theirs. We will keep updating this page… So please, bookmark it and don’t forget to hit the facebook/twitter like buttons to share with your friends. You will be able to do that after the examination. My jamb profile is not opening, what do I do?